This Pennsylvania Health Insurance Company Review will look at the company known as Pennsylvania General Insurance Company. It operates under One Beacon Insurance and is a part of White Mountains Insurance Group. It is headquartered out of Canton, Massachusetts and has an A, or excellent, rating from A.M. Best. It offers a variety of insurance and specialty insurance products but unfortunately does not offer individual health insurance. To search for and compare health insurance online right now just fill in your zip code in the space provided on this page. Pennsylvania General Insurance Company operates under One Beacon Insurance Group. One Beacon is a Bermuda based company that is backed by expertise, financial strength, and a commitment to quality and excellence. Its focus is in dealing with solutions for specialty insurance. The actions of One Beacon are guided by four operating principles. These principles guide all of its business aspects. One of the principles is that underwriting comes first. Another is that the company invests for long time total return. The third operating principle is that the company always keeps a balance sheet that is disciplined. The fourth principle is that the company thinks like its owners. 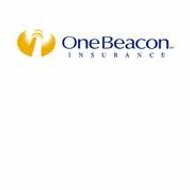 One Beacon sells its insurance products through independent agents, managing general agencies, wholesalers, national brokers, and regional brokers. One Beacon is made up of a number of different insurance companies that distribute the different specialty lines. The toll free number for One Beacon customer service and billing information is 877-434-3900. For claims status or to inquire about general claims the toll-free phone number is 877-248-3455. The phone number for Pennsylvania Insurance Company is 781-332-7000 and the fax number is 781-332-7969. The specialty insurance industry is a challenging but dynamic sect. If you are interested in a dynamic and entrepreneurial culture with an exciting future, a career with One Beacon may be the right way to go. The One Beacon community is made up of professionals who come from a variety of backgrounds and specialties from across the United States. As a national company, One Beacon offers advancement, recognition, and development no matter what state, department, or division of which you are a part. One Beacon is a company that fosters a culture of empowerment and accountability. If you are focused on results, are innovative, and self-motivated, One Beacon may be a good fit for you. One Beacon is also looking for people who are great team players yet possess entrepreneurial-like qualities. One of the principles of One Beacon is to think like an owner. Because of this, One Beacon expects that an employee will also consistently think like one. This means making decisions that are in consideration of the shareholders, the customers, and the company. In return for putting them first, every employee is enrolled in a stock ownership plan through One Beacon. Employees who are top performers also get rewards for all of their great contributions to the company. As an employee with One Beacon, you would receive a competitive compensation and benefits package. One of the parts of the benefits package is the health and wellness component. For medical benefits there are two medical plans offered by Blue Cross Blue Shield. There are also two dental plans offered which cover parts of basic, major, and preventive dental services. If you enter your zip code right now, you can compare health insurance rates immediately!